Namaste – Living My Life! Namaste!, my friends. My name is Jeff Yalden. I’m a suicide prevention expert, youth motivational speaker speaking at high schools around the country, and do a lot of work with teen mental health and teen suicide. It seems that every time a community is interested in bringing me in after they’ve experienced a teen suicide or multiple suicides over a period of time they immediately want to know my religious beliefs. The want to know if there is a tone of religion to my work with teens, schools, and communities. 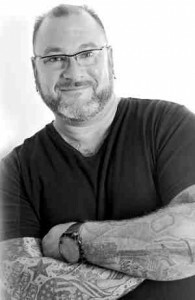 In 23 years of youth motivational speaking, high school assemblies, student leadership conferences, and helping communities heal after the loss of a student by suicide, you can bet that none of my clients would ever say, “Jeff Yalden brought religion to a religious tone to any school. So, I’d like to clarify a few things about who I am and my faith. First, I suffer from major depression and PTSD. This is known. I talk about this and my journey of mental health. I am a mental health speaker and proud to be a mental health advocate for teens and parents. I believe in Cognitive Behavioral Therapy (CBT) and monitored medication prescribed from a professional practicing doctor presiding over your care. I’ve been in therapy myself for many years and am currently in therapy. I practice yoga, mindfulness training, meditation, and breathing. This is a daily practice for me and a place I like to be where I can center myself and continue to own my day. Have you ever done yoga? You might have heard the instructor end the class by placing his or her hands in prayer position, either in front of their chest or forehead, bow their head and share the words ‘Namaste’. As you probably looked around you noticed everyone else reciprocating, either saying the words or doing the motions. You nervously do the same but have no real understanding of what you are saying or why you are saying it. This was me when I first started out my journey in yoga. This is normal practice by most yoga teachers. Remove the language and the spirituality associated with yoga and make it more approachable to fitness-minded and health-minded individuals. I recently had spinal cord fusion and am suffering from lower back – herniated disk and degenerative “whatevers” down in my lower back causing incredible pain shooting down my legs into the heels of my feet. Doctors, referrals, x-rays, MRI’s, physical therapy, pain medication, and more. Nothing helps when I follow the system. Frustration! What does help is stretching and practicing yoga daily. My mind is clear. I am patient. I am kind and loving. I have improved mobility. I am confident and relaxed. My pain has diminished. I’m not frustrated. So, when I say, “Namaste”, I mean it when I say it. So the literal translation is ‘bow I you’ or ‘I bow to you’. It’s origins lie in the Hindu religion as a form of greeting or departing and is a gesture of mutual respect and acknowledgement to recognise the divine in each other. If you Google the word Namaste on the internet you’ll find a million descriptions citing the meaning of the word, it’s significance and it’s relevance in a yoga class. I’m not a Hindu and I don’t subscribe to any specific form of religion, but I live with faith, respect and follow my own moral compass. For this reason I can only discuss what the meaning of Namaste is from my own perspective, which may drastically differ from other interpretations. I believe saying the word and practicing the meaning of the word shows a great respect for the ancient roots of our yoga practice. Thousands of years ago yoga was much more than just the physical act of yoga asana (postures), it was developed as a physical, mental and spiritual practice, a method for people to live with ethics, self-discipline and aid them in accessing their divine self. Nowadays, as we know, yoga asana is primarily practiced in the Western world as a form of exercise, but it doesn’t hurt to recognise these incredible roots and respect yoga’s place as an ancient practice. Every time I say it, I’m reminded of how much I still have to learn about yoga, and myself. Secondly, I respect it’s meaning. Namaste may mean something different to everybody, and if you ask me in three years time I may give you an entirely different response. But today these are my thoughts and I standby them wholeheartedly. So, this is my faith if I have one. This is how I live personally. This is how I feed my heart and my heart gives communities and teens hope.